The nameko is a type of small, gelatinous, light-brown mushroom that is often dubbed “the average Joe” of the fungus world. There isn’t much that’s special about it in taste or texture, really; it’s more of a soup vegetable. Yet, the trilogy of games known as Nameko Saibai Kit (which translates to “the kit for cultivating nameko”) has become one of the most popular smartphone games in the world, with 32 million downloads. It’s still shy of the billion Angry Birds downloads, but it’s twice as popular as the nearest Japanese competitor. The Nameko Song has garnered over 19 million YouTube views since June 2012. An illustrated encyclopedia of Nameko characters was a top-selling book. The mushroom character first appeared in another Beeworks game, Touch Detective, in which a young girl keeps the fungus as a pet and solves mysteries. When the company made this game into an iPhone game, they included a free app featuring the happy, bucktoothed fungi. The premise of the game is to collect different varieties of nameko, harvest by swiping the screen, and upgrade to better cultivation equipment to grow rarer types of nameko, like the kebab and capless. The game is “simple,” yet “super addictive,” and has even sprouted spin-offs like heated USB slippers, plastic hammers, keychains, stuffed animals, and even Bento boxes. In fact, the download itself is absolutely free with no upgraded or premium versions. The game’s creators make their money solely off the more than 1,500 Nameko goods they sell. 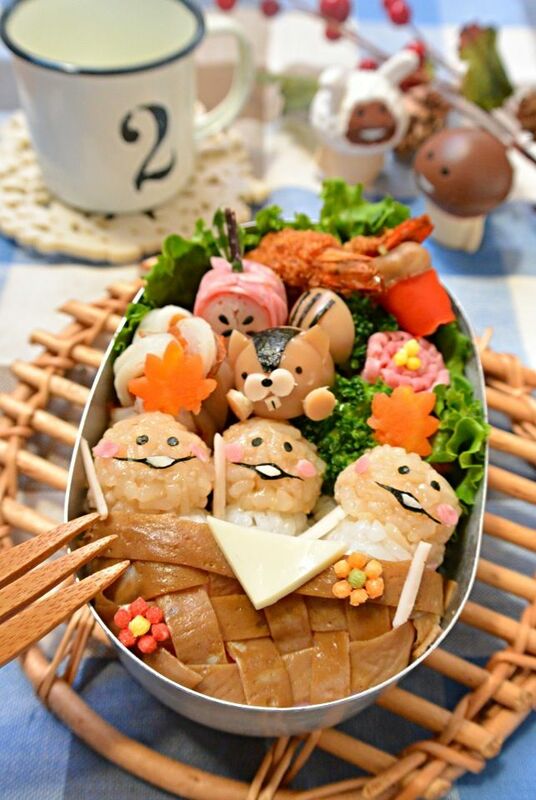 Nameko Bento boxes from Sugi Sugi are as delicious as they are creative. How Did a Game about Mushrooms Become so Popular? – Mushrooms are a popular food in Japan. According to the Wall Street Journal, “the country’s forestry agency calls mushrooms ‘a blessing of the forest,'” and over a dozen different kinds of mushrooms are sold in stores — some for as much as $800 a pound! “In Japan, even kindergartners can name several types of mushrooms. The fact that everyone is so familiar with mushrooms may contribute to their popularity,” said game promoter Yuto Ban. – Japan loves merchandised goods. Having great animators who have an eye for marketable faces helps, too. “They’re so cute! I love them,” said one 16-year-old fan who owns Nameko-themed letter sets, plastic files, and lunch boxes. But What if You Come into Contact with the Not-So-Cute Fungi? Not all fungi can be as cute or marketable as the nameko. Granted, we did recently write about a neat children’s book featuring microbes, like foot fungus… but these examples are the exceptions, rather than the rule. If you’re one of the roughly 30 to 35 million people in the United States with toenail fungus, then you probably hope to part ways with this unsightly condition and never see it again. A UV shoe sanitizer will help you get rid of real fungus, because real fungus isn’t for collecting or cultivating! The SteriShoe UV shoe sanitizer is a device for individuals who are concerned about preventing a return of toenail fungus, athlete’s foot, diabetic foot infections and foot odor. Ultraviolet light will eradicate up to 99.9% of the harmful microbes inside your footwear in just 45 minutes. Use daily for complete sanitization! Try the device for 30 days risk-free. News Flash: Yoga Mats Are Cesspools of Fungus and Bacteria!